This loot is not completely Verified…But We recommend you to try it as it looks to be genuine. 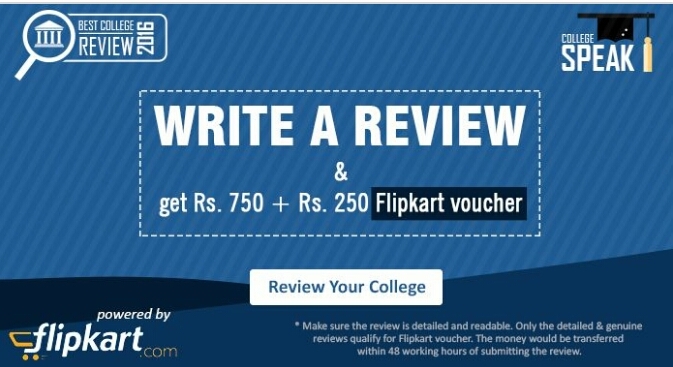 How to Get Flipkart Gift Card By Submitting Your Collage Review Survey ? 1. First of All, Go to Survey Page – Click Here. 2. Fill the survey with your desired collage details. Note – This is not my referral code this belongs to a referral code of another blogger. 4. You will get your Gift Card within 48hrs.